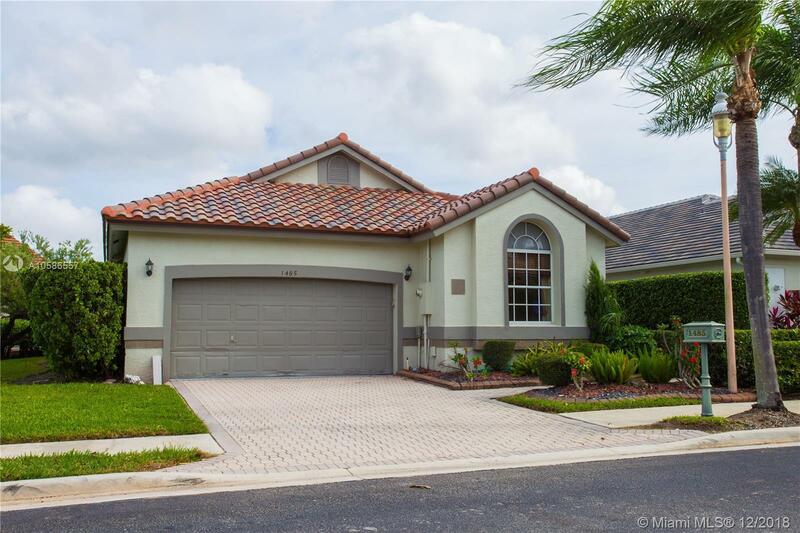 1485 W Lacosta Dr W, Pembroke Pines, FL.| MLS# A10586557 | Susan J Penn l Best Agent l Buy & Sell South Florida Homes! Owner says SELL! Come live in much sought after Grand Palms Golf & Country Club Resort. This waterfront home has it all, 4 bedrooms, 2 baths, fully updated kitchen w SS appliances, granite counters and remodeled bathrooms. Tile floors throughout, lots of expansive spaces full with natural light. Brand new ROOF, patio overlooking lake that's been fully enclosed offering a great place to relax and look at the water. A+ school district, Whole Foods, Publix and Costco next door. Great location mid-way to both Miami and Fort Lauderdale airports about 30 minutes away. Directions: From I-75 Take Pines Boulevard West And Pass Whole Foods On The Left. On 155 Ave Make A Left Into Grand Palms. Once Through The Guard Gate Take Your Second Left Into Lacosta And Go Right. Home Will Be On Your Left.